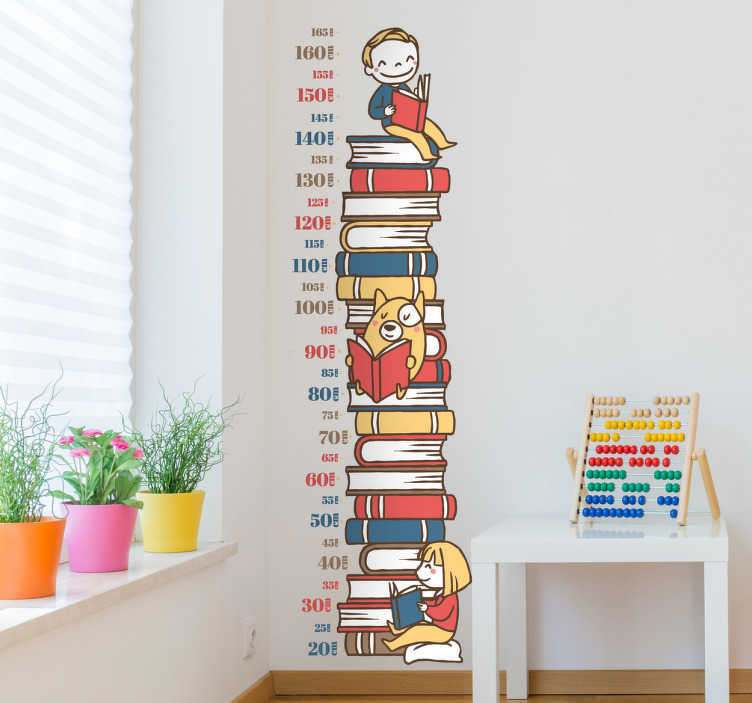 Kids bedroom height chart stickers - Stack of Books wall sticker where you can measure the growth of your young ones! Fun and playful design that shows children also reading the books! Our height chart decals are easy to apply and leave no residue on removal.